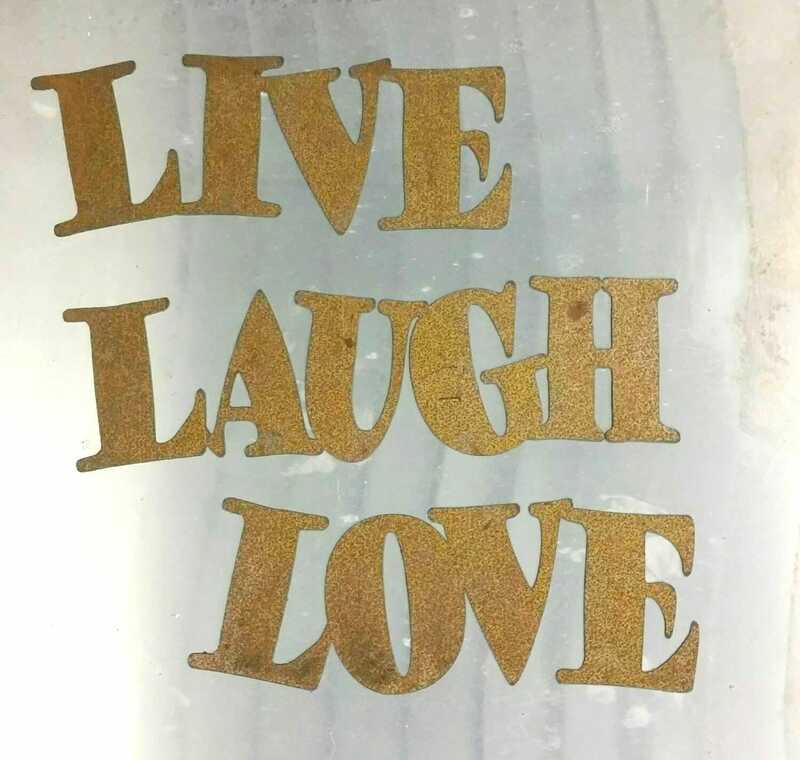 Our Metal Live Laugh Love Sign, Metal Wall Art is made from 18 gauge steel sourced from the USA. 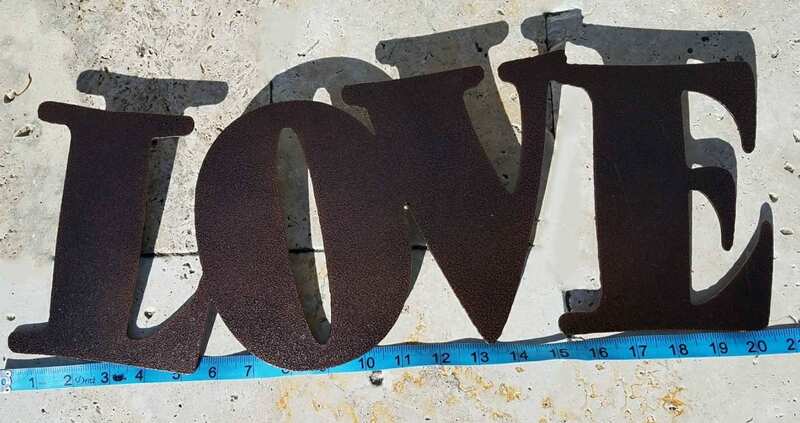 Unlike vinyl wall hangings, our metal pieces are sturdy and made to last. No worry of peeling here! We powder coat our pieces in either black or a bronze color as shown. Powder coat creates a barrier around the metal that is stronger than paint and protects your piece from rusting. 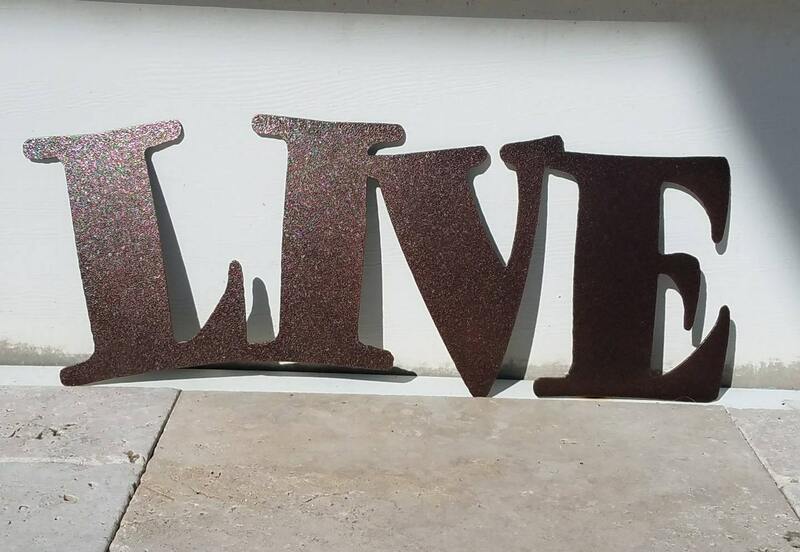 This allows you to display your Word Art or Quote Set as indoor home decor or outdoor decor. 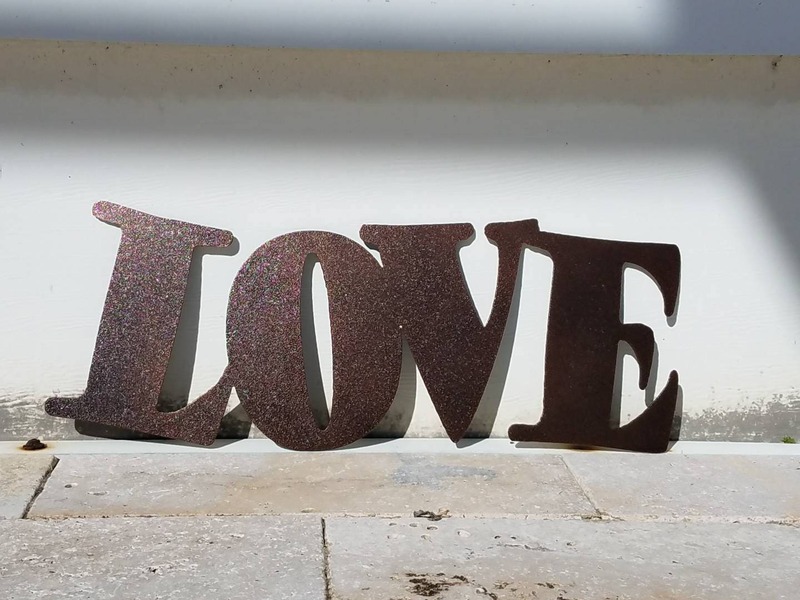 Listing photos of single words are shown with our bronze powder coat. Prefer the rustic look of a metal patina? We also offer the bare steel version which will rust/patina over time. The listing photo of set shows bare steel with natural patina. 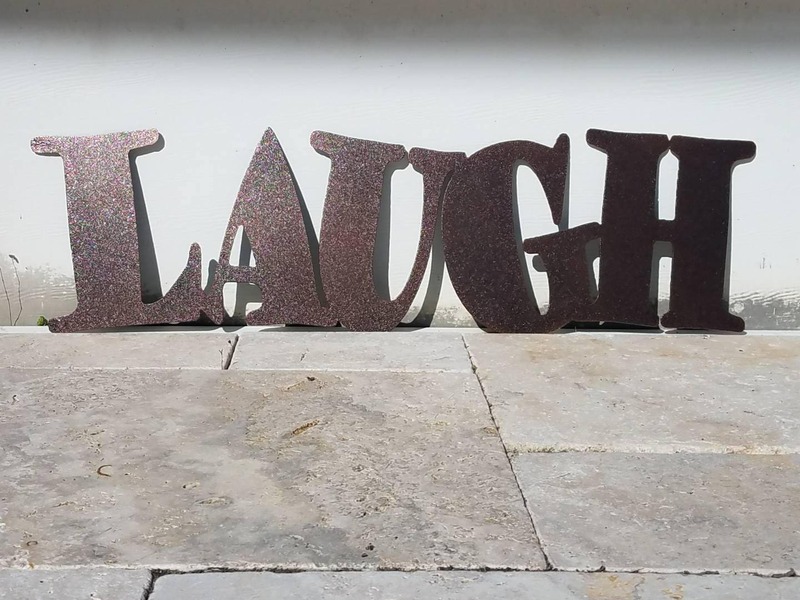 This piece is comprised of 3 separate words Live 8" tall by 19.5" wide, Laugh 8" tall x 25" wide, and Love 8" tall x 20.5" wide. Price for this set is a 20% discount from buying each word separately. Have a color request? We can help with that! Please note that color requests are based on availability and may need extra time so we can order your special color for you. Like the sign but have a different size in mind? We can help you with that too. Just send us a message with your size requests and we will get back to you with a new price for your piece. We use USPS calculated rates. Sometimes using a different carrier may be more economical for customers on the west coast. If USPS shipping rates seem extraordinary, please contact us so we can get you a quote through a different carrier. If overages in shipping fees are collected, we will refund shipping if the overage exceeds $2.